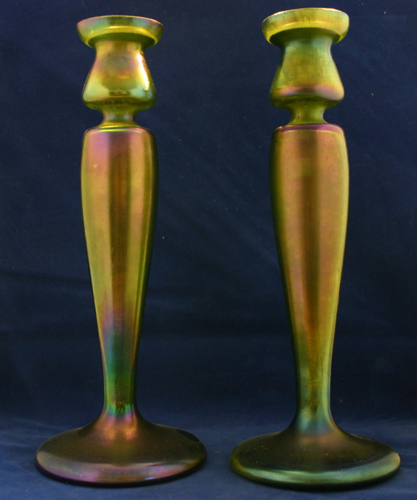 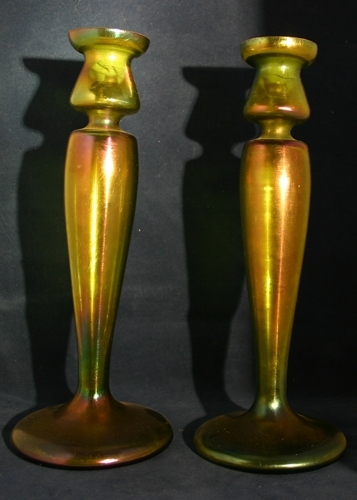 Pair of green Loetz candleholders with wonderful irridescence. 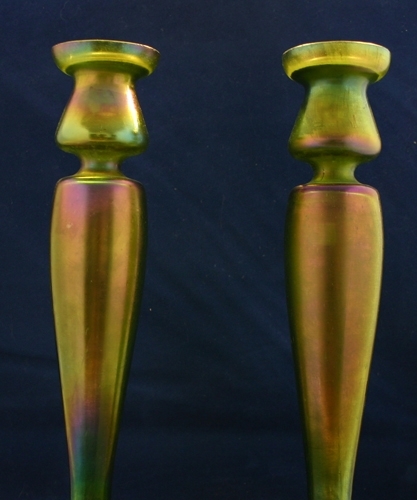 Brass inserts. 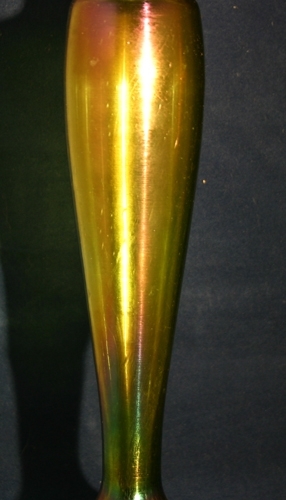 12 1/2"